Einat Wilf, 23 November 2015. Facebook. To bring a permanent end to the Israeli military occupation of much of the territory acquired during the 1967 Six-Day War, the Muslims, Arabs, and Palestinians must cease to view the entire Zionist project itself as a temporary aberration. The grand trade to be made is a permanent end to the Israeli military occupation of most of the West Bank in return for a final Arab and Muslim acceptance of the permanence and legitimacy of an equal Jewish sovereign presence in part of the Land of Israel. Until the Palestinian Arabs are willing to make that trade, argues Einat Wilf, the occupation, although not the settlements, must continue. Until then, Israel has no alternative but to stand fast. A simple counting of 50 years of military occupation might lead reasonable people to believe that it can no longer be considered temporary. But that fails to take account of an alternative time frame: the Arab and Muslim countdown until the end of Zionism and the State of Israel. That countdown reflects the prevailing Muslim, Arab and Palestinian view that Zionism is a historical aberration that will not – and must not – last. Any Israeli effort to end the military occupation in a manner that would bring it peace and security thus clashes with the Muslim, Arab and Palestinian view that no place for compromise and agreement exists that would grant legitimacy to Zionism and the State of Israel and that would accept its permanence. Zionism was always going to challenge human imagination. The story of an oppressed and persecuted people, living as guests among hostile host nations who found the will to rise-up, liberate themselves, and rebuild a sovereign nation in their ancient homeland, was bound to be viewed as either deeply inspiring or utterly insane. It is unsurprising that to the Muslims and Arabs who occupied the Land since their conquest of it in the seventh century, the story appeared insane. Not only were the Jews claiming to return home after two thousand years to a land in their midst, but the Jews represented a people whom the Muslim Arabs have, over centuries, come to view as their inferiors. From the Muslim and Arab perspective, the Jews – who while not infidels deserving of death, had failed to accept the final prophecy of Mohammed – were naturally destined towards the dustbin of history. Until that happened, the Jews could live as a tolerated minority of lower status, under the protection of their Muslim superiors. Life could be relatively harmonious if Jews knew and accepted their lower status in the pecking order of the proper Muslim society. The one thing that Jews were not supposed to do was challenge their place in society. To do so was to undermine the proper order of things and represented an affront to ‘justice’ as conceived in the Arab Muslim world. Initially, it was the imported colonial idea of emancipation that provided the Jews in Arab lands controlled by British and French with the dangerous idea that they were the equals of Arab Muslims. Later, it was Zionism. Either way, the response was violence, massacres, war, ethnic cleansing, and never-ending resistance. The idea of Jews as the equals of Muslim Arabs could not be allowed to stand. From the Muslim Arab perspective, violent opposition towards challenges to the proper pecking order was both ‘just’ and numerically rational. Not only were the inferior Jews advancing an insane story of returning home after two thousand years, but in the first half of the 20th century they constituted only a few hundred thousand challenging an Arab nation of tens of millions, backed by a Muslim world numbering hundreds of millions. Viewed in this context, the Muslim Arabs ‘no’ to an equal, sovereign, Jewish, presence in their midst was to be expected. And ‘no’ it was. Throughout the first half of the 20th century the Arab world consistently rejected any plan that would lead to the establishment of a sovereign Jewish state in the sliver of land between the Jordan River and the Mediterranean Sea. It opposed the League of Nations Mandate and fought against Jewish immigration to the land at the most critical time in Jewish history, depriving tens – if not hundreds – of thousands of Jews of their only chance to escape from a Europe that was closing in around them. The only exception to this opposition came from the Hashemites, who viewed Zionism as a force for good in the wake of collapse of the Ottoman Empire, and as allies in building a new post-Ottoman order of sovereign peoples and states, but their position proved consistently too weak to openly break ranks with Arab rejectionism. The violent Muslim Arab rejection of Jewish sovereignty in their midst reached a pinnacle with the war against partition. Initiated and waged by the Arabs, the war to prevent the nascent State of Israel coming into existence was the most organised and comprehensive attempt (at the time) by the Arab world to restore ‘justice’ and ‘order’ as they conceived it. Even after they subsequently lost the war, they refused to concede defeat and accept the Jewish state. A battle might have been lost, but the war had to go on. This Arab rejectionist position also manifested itself in the vicious expulsion and ethnic cleansing of Jewish communities – almost all predating Islam and the Arab conquests of the region – from the Arab world. Jews – who were internalising the idea that they could win wars over Arabs and establish sovereign states where they had no masters – could no longer be trusted to stay in Arab lands and ‘know their place’. The establishment and growth of the State of Israel did little to undermine the idea that Jewish sovereignty, in what the Arabs and Muslims viewed as land that was exclusively their own, was a temporary aberration. Across the Arab and Muslim world Israel was subjected to economic and diplomatic boycotts and campaigns of terrorism designed to hasten its end. In Arab mythology, Israel was the second crusader state, and its fate was to be the same as its predecessor. It would last for a few short decades and then a new Salah-ad-Din saviour would restore the land to Islam and the Arabs would drive out the foreign crusaders from whence they came. All the Arabs had to do was to resist and be patient. Compromise and accept the permanence of Israel was not an option. 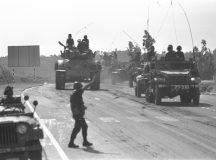 The humiliating defeat of five Arab armies in 1967, and the loss of the Golan Heights, the West Bank, the Gaza Strip and the Sinai Peninsula in a short span of six days did nothing to change the basic Arab mythology of the temporary nature of Israel. 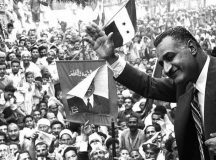 While the western world was establishing the formula of ‘land for peace’, the Arab world clarified its rejection of it. What appeared to make sense to much of the West – that land acquired by Israel in the Six-Day War was a valuable asset that could be traded for the long-desired peace with the Arab world – made no sense to those who still considered the State of Israel temporary. Even when the ‘land for peace’ formula was employed, as in the peace agreement with Egypt and Jordan, subsequent decades demonstrated that these were closer to ‘we will no longer attack one another agreements,’ rather than peace. The Arab world remained unable to treat the Jewish state as a genuine legitimate presence in its midst. Most notably, on two separate occasions – in 2000 and 2008 – the Arab Palestinians refused to say ‘yes’ to Israeli proposals that would have ended the military occupation of the West Bank. These proposals demonstrated that the choice Israel made after the 1967 Six-Day War – to govern most of the territories of the West Bank and Gaza in the form of a military occupation (which is a legitimate form of governance of territories acquired in war which the victorious side does not intend to annex and keep) – reflected a perspective that these territories were assets to trade, rather than a homeland to annex. Although this view was not shared by all Israelis – especially the Messianic settler movement, for whom the acquisition of what they termed Judea and Samaria represented the completion of God’s promise to his people – ‘official Israel,’ and the majority of Israelis, did not take actions to annex the territories (except around Jerusalem) and make Israel’s presence there permanent. Moreover, with the 2005 disengagement from the Gaza Strip and northern West Bank, ‘official Israel’ demonstrated that even when it built settlements, these were reversible, especially if withdrawal from territories would bring greater security to Israel within the pre-1967 lines. 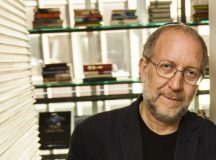 For most Israelis, the repeated Palestinian failures to say ‘yes’ to clear and distinct opportunities to end the military occupation of the West Bank and Gaza, and to build a peaceful state for themselves in territories evacuated by Israel, reinforced the view that more than the Arab Palestinians wanted a state for themselves, they wanted to deny a state to the Jewish people. Seventy years after the British Foreign Secretary told Parliament on the eve of partition that ‘for the Jews, the essential point of principle is the creation of a sovereign Jewish state’, while ‘for the Arabs, the essential point of principle is to resist to the last the establishment of Jewish sovereignty in any part of the land’, it seems the Arab Palestinians still see no reason to compromise with a project they view as ‘unjust’ and temporary. After all, if the crusader state lasted 88 years (including Jerusalem), then in 2017 – when Israel will mark 69 years – all the Arab Palestinians have to do is wait a mere 19 more years until the second crusader state will disappear. 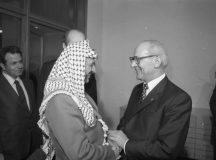 Given the Arab understanding of Zionism as a temporary historical aberration whose life span is a mere few decades, it made sense for the Palestinians to repeatedly choose to suffer the daily humiliations of living under a military occupation rather than to accept the far greater humiliation of permanent Jewish sovereignty on land they considered exclusively their own. In refusing to end the military occupation by making a permanent peace with Israel, the Arab Palestinians were making a conscious choice that was based on their understanding of Arab history and Islamic ‘justice’. As Arabs and Muslims, the Palestinians were not hapless victims, but rather masters of a historical narrative, at the end of which their resistance and patience would be rewarded with victory, in the form of Zionism’s disappearance. While they might suffer in the interim period, the choice they made was for what they perceived as the far greater good – defeating Zionism and driving away the sovereign Jewish presence from their land. How can a temporary 50-year military occupation of most of the West Bank by Israel come to an end, if the Muslim, Arab and Palestinian view of history is that 50 years of Israeli occupation matters significantly less than the countdown of the remaining 19 years on the crusader clock? It is necessary to demonstrate to the Muslim-Arab world that their view of history is wrong, and that rather than constituting a second crusader state, Israel is the sovereign state of an indigenous people who have come home. This can only be achieved through Jewish power and persistence over time. And given the vast numerical imbalance between Jews and Arabs, it can only be achieved if those who truly seek peace support the Jewish people in sending the message to the Arab world that the Jewish people are here to stay. The essence of the conflict between Zionism and the Muslim Arab world is a battle over time, a race of mutual exhaustion. The question that will determine how the conflict is ultimately resolved revolves around who will give up first: will the Zionists give up on their project in the face of unrelenting violent resistance, or will the Muslim Arabs give up on their project of erasing the sovereign Jewish presence in their midst, and finally come to accept it as a part of their history, rather than an affront to it? Thank you for this excellent insight into the mindset of not only Arab anti-Zionism but all of those in the West who ascribe to such opposition. Whenever I – a non-Jewish British person – tell people that I am a Zionist, I am used to seeing a familiar range of looks cross their face. And alas it’s sometimes not a particularly positive one at that! To which I always ask the same simple question: Do you believe the State of Israel has a right to exist? They will then often come out with a somewhat torturous waffle about how things should have been done differently at its setting up, Balfour, American interference, peace agreements blah blah blah…. Somewhat mischievous I know but as this article shows very well, the classic anti-Zionist platform is not so much about refusing to support Israel but rather an implicit desire for its destruction. And if only more of the supposedly well-meaning pro Palestinian supporters would understand that then perhaps they would be more reluctant to put their name to every proposal that at its heart is often literally murderous in its intent. Wilf has written a manipulative, deceptive article regarding the conditions for a coming together of parties to reach a peace agreement. Arabs, Muslims and Palestinians are referred to in the same breath implying that the issue is collective and not singular regarding the rights of the indigenous Palestinians. Wilf intentionally conflates the Israel Palestine conflict so as to hide the illegality of Israel’s actions and the legal right to full self-determination for the indigenous Palestinian people. Wilf also insinuates that the Palestinians are not willing to agree to peace with reference to prior talks. The “offers” from Israel did not give the indigenous Palestinians what is rightfully theirs : self-determination, a free Palestinian state, free from pervasive Israeli influence. It is also despicable to see the author use the persecution of Jews in Europe by the Nazis. She places the blame and their failure to escape squarely on the shoulders of the Palestinians. David Ben-Gurion clearly stated that the indigenous Palestinians had no responsibility for what happened under the brutal Nazi regime and, if he was in their shoes, he too would take up arms to repel the Zionist/Jewish who have taken their land. Perhaps the most despicable element in the article is the authors total refusal to consider an approach to peace based upon international law. One can only conclude that Wilf knows full well that the outcome would be : the establishment of the state of Palestine in all of the West Bank and Gaza, an event which the indigenous Palestinians are entitled to according to peremptory legal norms. Why do you ask the question: ” Do you believe the State of Israel has a right to exist? ” According to international law no state has a “right to exist”. No where in law is their a hint or insinuation that any state has a “right to exist”. Why should Israel demand this of the indigenous Palestinians? The Palestinians have already recognised the state of Israel and the territory that it covers prior to 1967, so to then shift the goalposts by Israel is nothing more than placing obstacles on the path to achieve peace. I think this is a good analysis, Palestinian Arabs can well reason that with the support of the billion + Muslims in the world with all their oil, plus the support of all the world’s anti-Semites, and with Israel’s standing in the world seen as eroding, they can have it all and need not compromise. But understated is also Israeli rejection of any real solution that the Palestinians can accept. They too think that if they tough it out and keep expanding settlements, with US backing and their superior economy, they too can have it all and need not compromise. But both sides are wrong. Neither can be made to surrender. Compromise, compromise on all sides is the only solution. Jonathan Gray, you are clearly a grossly ignorant individual. It is Israel’s Promised Land, stolen from her by the Romans who re-named it “Palestine” in the second century A.D., hoping to wipe the reality of Israel from history. You should read the Old Testament, particularly concerning how Israel came to be, and how God deeded the land to the twelve tribes of Israel. Then, you would not be such an imbecile. The author sharp analysis is focused, understandably, on Israel. Meanwhile, the Muslim problem has become a global one. Muslim group-think shows the same fundamentalist rejection wherever it comes into contact with other cultures. At times, Paris and Malmö feel like West Bank and Gaza. I think you are very wrong when you use religion as a foundation for the existence of the state of Israel. In the EU we live in a world whereby the political system of democracy is the body that decides what is legally right and wrong according to laws. The separation of church and state took place hundreds of years ago on this continent. Having said that referring to your “God” as the almighty real estate broker is very far fetched indeed. Good luck with your “Old Testament” as your book of laws that has the potential to solve the issue of Israel Palestine. You close your comment with reference to “compromise” but I think it has reached a point whereby the Palestinians should under no circumstances “compromise”. The UNGA Partition Plan of 1947 recognized that 43% of Mandate Palestine can rightfully be claimed by the indigenous Palestinians, in other words it is their legitimate patrimony. Then where is Israel’s legal right to the additional 25% of Palestinian territory it acquired during the war of aggression and ethnic cleansing in 1948? What is left of the territory, the Palestinian legitimate patrimony, assigned to them by the Partition Plan amounts to 22% of Mandate Palestine. After 1967 Israel has sought to enlarge the 78% of Palestine it had already acquired by confiscating additional Palestinian territory. Netanyahu and his government demand that Palestinians make “concessions”! In contrast Palestinians have not asked Israel to make territorial concessions. eg. give up the territory Israel illegally acquired in the war of 1948. What Palestinians have asked is that Israel return Palestinian territory on which Israel has illegally established settlements, in violation of treaty obligations and international law. Finally, I firmly believe that the only way to build a lasting peace will be one based on international law. Let the ICJ set the legal framework for negotiations around which an agreement can be reached. A peace treaty based on law will be very hard to destroy and if it would be pulled down, the guilty party will be condemned by all. The era of Palestinian nationalism is over. Israelis now understand that there’s no rational reason to believe that a Palestinian state would be anything other than a dangerous, antisemitic, religiously intolerant, homophobic, misogynistic country that is home to Islamist terror groups, just a stone’s throw away from Tel Aviv and Haifa. The mere existence of Israel proclaims the national rights of the Jewish INDIGENOUS population of Israel; a country and a people that predate Arab colonialism, and will outlive it as well. As in WW2 Japan & Germany only accepted to reform their ideology of being masters by their complete military defeat without preconditions ; ultimately political & ideological reform managed to take roots through acceptance of European peaceful teachings accepted by the Germans & Japanese only through a complete & utter defeat . Excellent article that descrobex thr reasons why the Palestinians chose to engage in conflict with Israel. A spot on analysis of what the conflict is truly about. The one thing missing is what should be done in light of that reality. Essentially there are two ways that the State of Israel could come to an end. One is a coalition of those who agree that Jews coming home is an affront to the proper order of the universe to act from current conditions to militarily end it. The other is to convince outsiders to create conditions that would enable such a coalition to do so, whether Israelis doing so voluntarily or for outsiders to impose them. The changed conditions would allow ending the State of Israel in one of two ways. Either the right of return would bring in so many Palestinians that “Israel proper” would become a binational state, or the West Bank would gain the means to do to the coastal plain, the core of Israel’s population, what Gaza has done to Sderot. With rockets and mortars coming from the schools, mosques, and hospitals of Qalqiliya, Tulkarem, and Budrus, Israel would have the choice of accepting national life coming to a halt or creating hundreds of dead babies. Based on the experience in Gaza, there is no reason to believe that if Israel chooses the latter, that the international community will look at anything beyond the number of dead babies, so the choice would be death by terror rockets or death by international sanctions. The Palestinians have largely given up on achieving their ends by military action without a change in conditions. 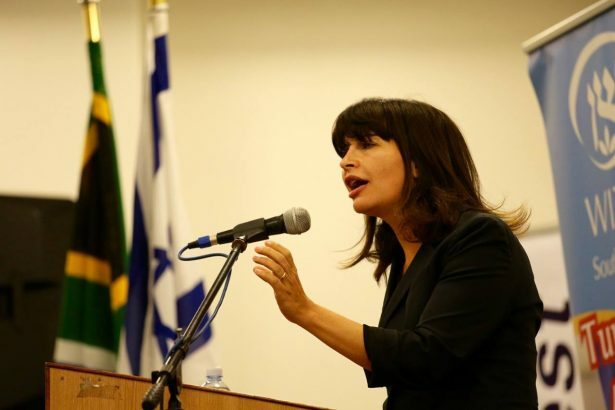 Further, the one party in Israel that is willing to create the conditions they need, Meretz, is so marginal that voluntary action by Israel is no longer viable. However, international pressure is still a viable path, most acutely demonstrated by UNSC 2334. Therefore, the key to convincing the Palestinians of our permanence, rather than holding out for some period of time, is getting the international community to declare that the Palestinians’ goal of ending Jewish self-determination is unacceptable. Getting an international leader to declare that the conflict is about Arab irredentism for the 19th century social order, and not about land, would be a first step in bringing that about. -Jews shall have the right to do on the Temple Mount whatever does not interfere with Muslim worship in the two mosques. Your argument begins with a grossly false assumption, and goes downhill from there. Jews are indigenous to Israel. Arabs are indigenous to the Hejaz, in Arabia. I invite you to read the definition of indigeneity used by international organizations, and think, if you are capable, of how this applies to each of these peoples. One small part of indigeneity is continuity with pre-colonization civilizations. As tens of thousands of archaeological artifacts will demonstrate, Jews lived in the land of Israel, as one of many Canaanite tribes, for thousands of years before the first Arab ever set foot in that land. The Hebrew language is an outgrowth of other Canaanite languages. The Jewish god, “El”, is the reimagining of the chief go in the Canaanite pantheon. DNA tests show that modern Jews, from all around the world, wherever they lived in diaspora, share common DNA with each other, and with ancient Canaanites. Arabs speak Arabic – a language that evolved in Arabia. There are NO Arabic relics in Israel that date back beyond the 7th century, CE, when Arabs invaded and conquered the land as foreign colonizers. The Arabs’ own history books tell of their conquests, in glowing details, so it is a little late for them to try to revise those histories, and now pretend to be native to Israel! And while some “Palestinian” Arabs have races of Jewish DNA (from Jews who converted, often under threat of death, to either Christianity or Islam), that little bit of DNA, divorced from the culture, language, and beliefs that their Jewish ancestors share with today’s Jews, is not nearly enough to call them indigenous. No, the main criteria for indigenous status revolve around language, culture, religion, and connection to the land – all of which the Jews have, and the Arabs do not. No, the article was spot on, and your attempts to refute it are weak and lacking any foundation. Article 80 of the United Nations Charter mandates that all resolutions of the League remain valid. Iraq , Jordan and Lebanon are absolutely artificial political entities that were cobbled by the victors. Israel’s history, however, is anchored in the 4,000 year-old actual history of the Jews. Arab and Ottoman imperialism and colonialism brought regression and misery to downtrodden minorities all over the Middle East and Africa. Ask the Kurds, Yazidis, Berbers, Sudanese for example. The Arab Palestinians are an Arab ,foreign, implant in the Jewish National Home. The Jews are prepared to share it, but the enemy is not. 1. their leadership went through the motions of rescinding the clause that calls for destroying Israel, but their fuhrers never ratified the alteration, so it is null and void. 2. even if they had ratified it, their concurrent view of the Oslo Accords as an Arab Trojan horse (as Arafat called the Accords) would have nullified it. The Karine A episode (which even the “naive” President Bush realised was a clear indication of Arab Palestinian duplicity and belligerency, should have disabused every reasonable person of any credit he might have given the Arab Palestinian leaders’ honesty. 3. The entire Arab Palestinian ethos and sense of identity hinge on the denial of the Jews’ right to national self-determination …anywhere much less in The Land of Israel. it will take generations to denazify Arab Palestinian society that fervently believes that Jews are the offspring of pigs and apes; that the Jews have no history in “Balestine”; that the “Balestinians” are descendants of Canaanites; that all the ills of the world are ascribable to the Jews. 100 years of residence of two peoples on a narrow strip of land proved that Jews and Arabs can not and should not live in one country. Every nation must live in its own country. This is the essence of the UN decision on the partition of Palestine. It’s time to ALL 6 million Arabs of Palestine to obtain the citizenship of the Palestinian National Autonomy. Only then will begin economical, political and physical separation of Jews and Arabs.